At last I can ducking swear like a cant as often as I fudging like once I've followed these instructions. clever mother funsters! 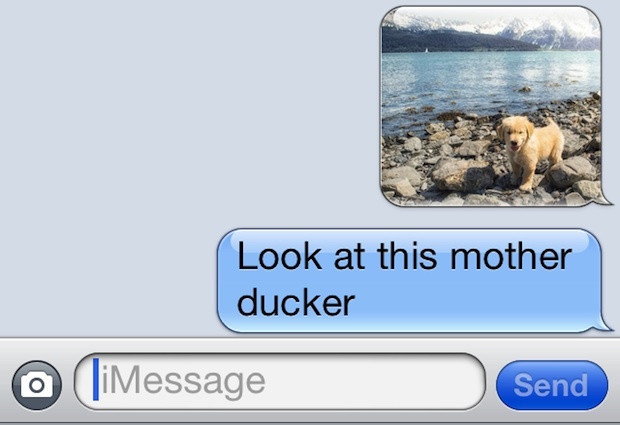 The iPhone autocorrect feature is fairly aggressive with certain words and phrases. Though you can persistently cancel out the corrections to teach autocorrect what you actually meant to type, you still might find particularly colorful words are continuously autocorrected to much friendlier variations, often involving animals, which if you're trying to sound a certain way can really take the oomph out of your intended words. If you really want to use certain words without the unintentional autocorrection, a solution of some sort is to use the keyboard replacement shortcuts feature to instantly swap a shortcut for another phrase. This will overcome the iOS dictionary preference for having a clean mouth, letting you be as filthy as you need to be. 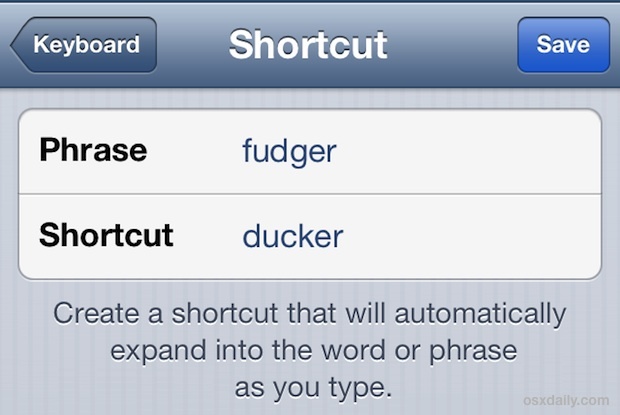 In this case, we'll replace that universally amusing and loved/hated "ducker" auto replacement with the "fudger" word that was actually intended (stick with the fudge or go with your more colorful preferred variation that we won't print here). Open Settings and go to "Keyboard", scroll down to "Shortcuts" and choose "Add New Shortcut…"
In the "Shortcut" section, put the word persistently autocorrected, like "ducking"
Choose "Save" and head to any text entry field, type out the original "ducking" word as intended and watch it replace itself with "fudging"
Add additional shortcuts for more of your colorful autocorrection as needed, whether it's something "shotty" or a total "bass whole". Speaking of autocorrect, if you have persistently corrected errors or now have totally erroneous autocorrections, you can always reset the dictionary and start from scratch.